Charles Edward Anson Markham (1852-1940) is characterized as a minor American poet. Since he has Evergreen roots, we’ll designate him a major Evergreen poet. Edwin Markham was a teacher at the Evergreen Schoolhouse from 1869-1889. During those twenty years, he would write from the East Foothills and inspire and educate students from the Chaboya family, Kettmann family, Smith Family, certainly one day principal and superintendent, Katie R. Smith, Aborn Family , Chew Family and others. He was so cherished by the community, a redwood tree would be planted in his honor. Though not published until 1899, ten years after Edwin Markham left the employment of the Evergreen School, I like to speculate about his inspirations. The Oregon native wrote poetry about the working class life in the late 1800’s. He would’ve worked on the family farm as a child, like most children at the time, in the north bay area. He would finish his teaching credential at San Jose State, then known as the Normal School, and fall in love with Evergreen. From 1921-1931, Edwin Markham would be Poet Laureate of Oregon. Edwin Markham incites emotion through his metaphors and that familiar sense of earning. 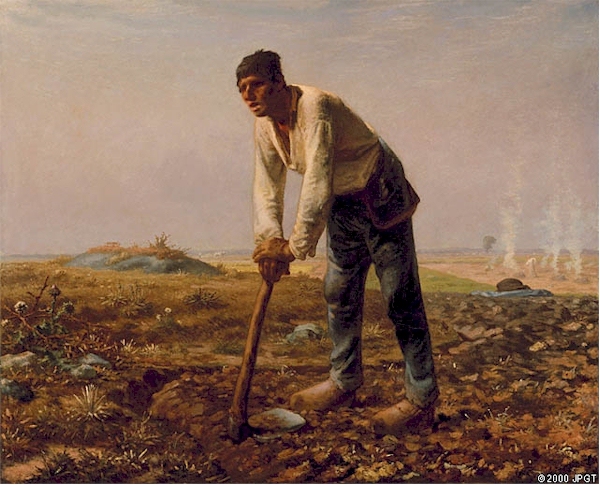 It is often said that Markham’s “The Man with the Hoe” was inspired by Jean-Francios Millet’s painting of the same subject, shown here to the left. That may have been a contemporary pop culture influence, however, Markham would get to see this activity quite regularly during his twenty year teaching stint in the town of Evergreen. 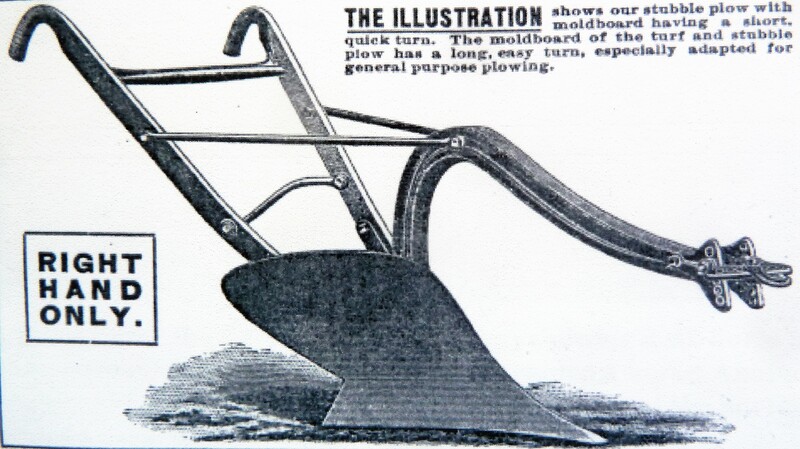 I have specific details about the farm adjacent to the schoolhouse using hoes, pitchforks and sickles, archaic equipment the immigrant family would’ve used in the old country. The farmers in Evergreen during this time would have front row seats to the Industrial Revolution and watch their equipment mechanize before their own eyes. Poorer farmers would have to work by hand until Evergreen’s labor force combined and circulated large rigs to harvest everyone’s fields. Markham’s poetry would very much parallel the hardworking farmer’s plight during this time in history. 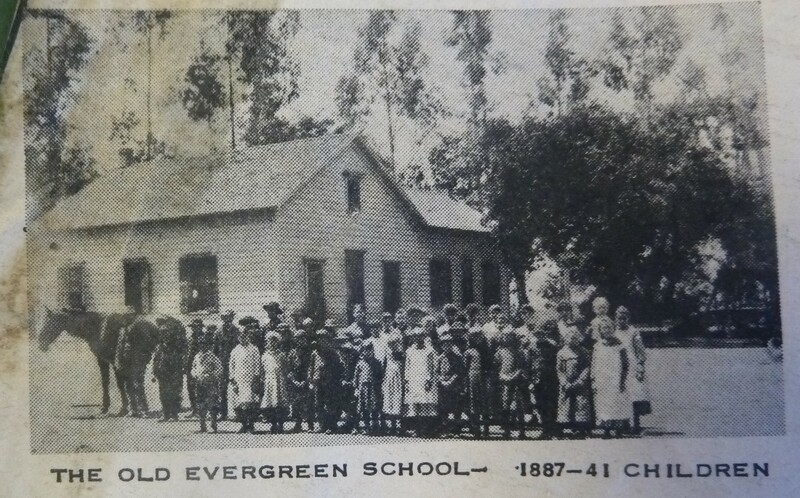 Evergreen was farm country, first appearing in the Altas in 1867. Markham would move into Evergreen in 1869, as one time squatters became legal land owners and brand new farms were being raised all over town. It would be harder to imagine Markham’s work not being inspired by his time in the little farming town 8 miles outside the City. Here’s Markham’s poem. If you enjoy this, read on. His poetry is quite lovely.